REGINA, SK – Rebellion Brewing has announced the release of a darker seasonal take on one of its regular brands. When the days are colder and nights are longer, our Belgian Wheat transforms into something a little darker – we call it Midnight Wheat. This ale leans into smooth, roasty chocolate flavours, with spicy orange notes lurking in the background. 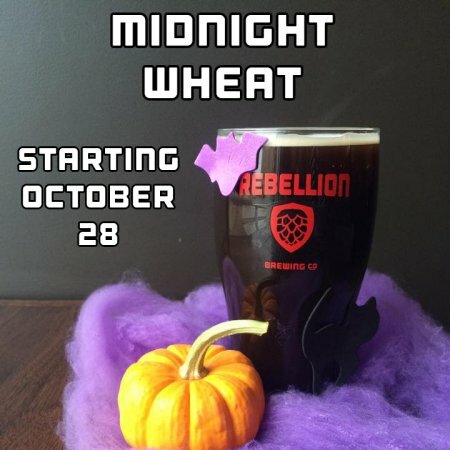 Midnight Wheat is on tap now at Rebellion while supplies last.